Chorley’s England No.2 squash ace Laura Massaro advanced to the third round of the JP Morgan Tournament of Champions in New York. Massaro recorded a resounding 3-0 victory over Egypt’s Yathreb Adel at the city’s iconic Grand Central Terminal. Held in the railway terminal’s stunning Vanderbilt Hall, the Tournament of Champions is one of the most prestigious events on the PSA Tour. Preston-based Massaro reached the final of this tournament in both 2014 and 2017. 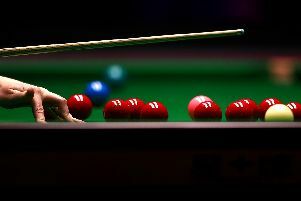 The 35-year-old fell to a shock defeat against Adel in November’s Hong Kong Open. But there was no danger of history repeating itself as she controlled her shots well to take an 11-3, 11-6, 12-10 victory. “I know that my mental strength is one of the strengths to my game,” Massaro said. “I know that I really hate losing. “Losing to Yathreb in Hong Kong a few weeks ago was really tough to take because I had put in a lot of work before that match. I didn’t do myself justice at all and I know Yathreb is a really dangerous player. Massaro, the World No.7, will play World No.16 Salma Hany in round three. The Chorley star moved up to world No.7 after the PSA Women’s World Rankings for January were released. She defeated Wales’ Tesni Evans to win the Monte-Carlo Squash Classic, PSA Challenger Tour event last month to lift her first PSA title since the British Open in May 2017.